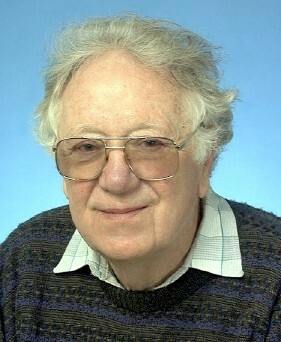 The Oliver Smithies Symposium began in 2008 with a generous gift from the eminent scientist and Nobel laureate for whom it is named. 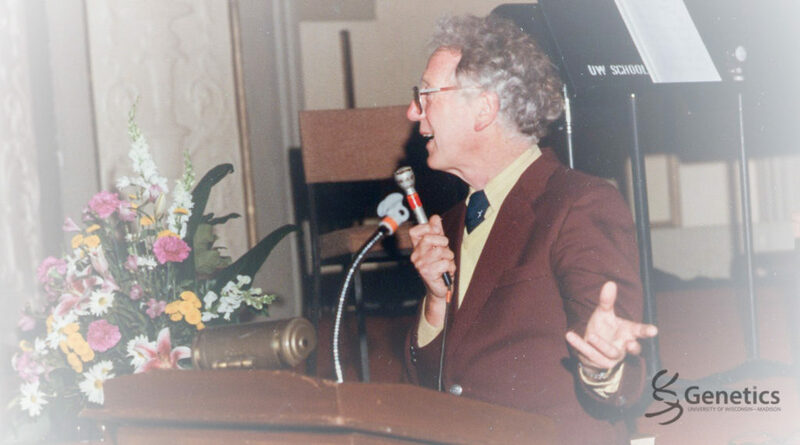 Oliver Smithies was a Genetics Professor at UW-Madison for 25 years and during that time, he performed much of the research that would later earn him the Noble Prize. One of his goals with the gift was to help expose young researchers to eminent scientists so they could learn firsthand about the excitement and the disappointment that goes along with the discovery process. This year will be our 11th Oliver Smithies Symposium and we have three distinguished speakers lined up to give talks on the theme of higher order neuronal function and dysfunction, including; Dr. Sehgal, who has published widely on mechanisms of the circadian clock and how sleep is regulated in Drosophila, Dr. Hsiao Ashe, who was the first researcher to use transgenic mice in the study of Alzheimer’s Disease, and Dr. Tonegawa, who works on memory formation. These talks are free and open to the public. Please join us for this singular event and consider honoring the memory of this great teacher and scientist and supporting his vision by donating to the Oliver Smithies Symposium Fund. “Oliver was the quintessential scientist. He loved asking big questions, the process of trying to answer parts of the questions, positive results, and the process of overcoming experimental barriers. What is not generally appreciated is how much he loved to teach. For him, teaching was an intimate part of the process of scientific discovery. It gave him reasons to scour the old and new literature, to make novel connections between disparate fields, to “think out loud”. Most of all it gave him great joy. Oliver’s work speaks for itself. Starch gels paved the way for modern polyacrylamide gels, a technique that almost every single molecular biologist routinely utilizes. Gene knockouts have become one of the standard ways to understand how a gene functions in the behaving animal in health and disease. He first became conspicuous before he joined the faculty in Madsion. Oliver’s early work on gel electtrophoresis introduced a new technology that became a major tool for biochemists and that is still in sue. It involves the separation of large biological molecules from one another by placing them in a semi-solid gel and running an electric current through the gel. Oliver’s inspiration for his technique came from his watching his mother do the family laundry and mixing up starch for the shirts. Oliver remembered the nice gel that formed from the starch that his mother mixed with water and realized that such a gel could be used in electrophoresis. Before he introduced this method, molecules were being separated from one another by layering them on liquid and running a current through them — a sloppy technique because liquids slosh and convect. Oliver’s method has been much revised over the years, but it remains a major for separating different protein molecules and nucleic acid molecules from one another and is widely used today. Oliver’s first experiments revealed that there were many different proteins in blood serum of humans, that the variety of proteins was variable from person to person , and that the specific differences were under genetic control. Oliver was one of the pioneers of genetic engineering and, together with Fred Blattner, he contributed to the methods for cloning (that is, isolating and producing chemically analyzable quantities) of the DNA from specific genes. The Smithies lab played a significant role in demonstrating the safety of genetic engineering methodology in the early days when there was considerable public anxiety about the dangers of creating “unnatural” organisms carrying genes that were introduced by laboratory trickery. The Smithies and Blattner laboratory members drank large quantities of engineered bacteria to determine whether such bacteria could escape into the world by passing through the digestive systems of laboratory workers. Oliver’s most important contribution to science was to help to develop methods for “knocking out” genes in mice. He and his laboratory colleagues made it possible to inactivate specific genes in a mouse in order to determine how a particular gene contributed to the bodily functions of the mouse. These methods have be widely used to study genetic disorders and to understand how the genetics of an organism contribute to its fitness. These methods have added to our understanding a cancer, heart disease, diabetes, and a wide variety of other medical problems as well as to our understanding of the basic mechanisms of genetics. In his later years, Oliver worked on the genetics of high blood pressure among other things. He was an altogether delightful man. He loved to DO science. When you saw him in the lab, he simply radiated happiness. I’ll tell you one other story, and then I have to return to my family. When Oliver first arrived in Madison, his lab in Genetics was not yet ready, and the department asked the Physiological Chemistry Department in the Medical School if they could let him use some space while his lab was being remodeled. The P Chem Department gave him a bench in their teaching lab, which was also used by the medical students in their biochemistry course. A couple of weeks into this arrangement, P. P. Cohen, the chair of P Chem, called Jim Crow, the chair of Medical Genetics, to ask that other space be found for Oliver. Oliver’s space, Cohen said, was so messy that it set a bad example for the medical students, who were being taught that fastidiousness was essential in biochemistry lab work. Oliver continued to be a notoriously messy lab worker. His work was careful and precise, but there was always collateral danage, and Oliver was always much more interested in starting the next experiment than in cleaning up after the previous one. So, when you walked into Oliver’s lab, you could easily tell which of the work benches belonged to Oliver — it was the one with science papers and jounrals pilled high and overflowing onto the floor, the bench covered with chemical stains and scattered tools, as if a small avalanche had just taken place. I too had the privilege of knowing Oliver, starting from the time he joined the faculty at the UW-Madison in 1960, when as a graduate student I took his course in Eukaryotic Molecular Genetics, in which he integrated numerous classic papers in genetics with the relevant contemporary papers. He was a bubbling, ebullient, enthusiastic teacher, who really enjoyed students and loved to teach and share the science that he was so happily immersed in. After being awarded the Nobel Prize in 2007, Oliver donated his share to be divided among the 4 institutions with which he’d been associated: UNC,Toronto,Oxford, and UW. At the UW, his gift was used to establish the annual Smithies Symposium, to bring in prominent speakers, with their talks to be especially directed to students. Smithies attended the first few of these, and he conducted special sessions with the graduate students. He was a great and engaging story teller, often using his own detailed lab notebooks as visuals. Millard and Jerry have covered Oliver’s research so well, the invention of starch gel electrophoresis, the gene targeting methodology and other; I will add just a few stories. Using starch gel electrophoresis, Oliver resolved 20 or so proteins in blood plasma that showed variation in normal healthy persons, and such variation was inherited. This discovery of inherited differences helped shift Oliver’s focus to the genetic and molecular basis of the plasma protein differences. Among these proteins were the serum haptoglobins, the variants of which appeared to include a duplication. This was around the time when Oliver had arrived from Toronto at the UW-Madison Genetics department. Oliver consulted Professor James F. Crow, the Chair and prominent Drosophila Genetics researcher, about the haptoglobin discovery, asking if 2 alleles on homologous chromosomes could join together to give a “double-sized” gene. Crow said, yes, indeed, and introduced Oliver to the Bar eye mutant in Drosophila, a gene duplication itself with a well worked out history of homologous and non-homologous recombination. This influenced Oliver’s thinking in many ways and, as well known, he successfully used homologous recombination to introduce targeted genetic modifications into cells. In addition to the generous scholar and inventive original thinker and researcher that he was, Oliver cultivated interests outside of the lab. He loved to sing, and he sang tenor in the Madison Symphony Chorus for many years. He loved to fly, and was a dedicated pilot. In his Nobel lecture, Oliver described some of his flying and gliding experiences, and told how “learning to fly is to overcome fear with knowledge. This same lesson applies to doing new things in science and to life in general”. Oliver’s life was thus enriched and he enriched the lives of others. This lovely and delightful, joyous human being will be greatly missed. at a recent symposium luncheon.